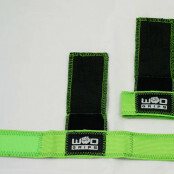 WOD Grips are easy on hands, indestructable on WODs! 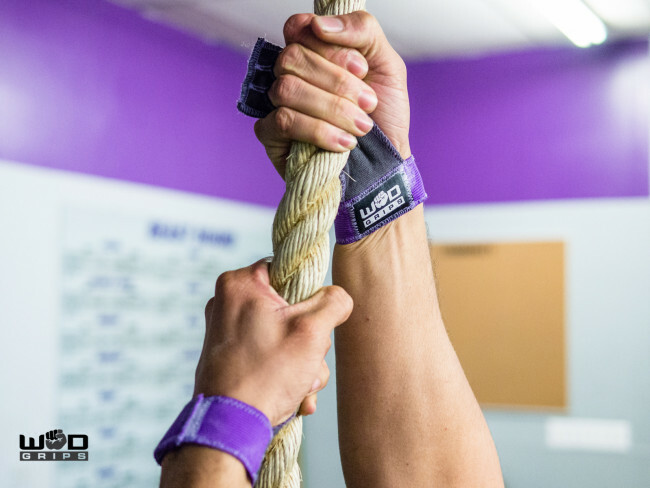 Hand injuries can ruin your workout and keep you out of commission as your hands heal, WOD Grips protect hands from WOD injuries, and keep your WODing your best. 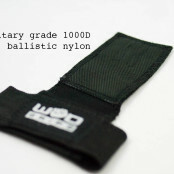 Gen 2 WOD Grips features grip enhancing military grade nylon. 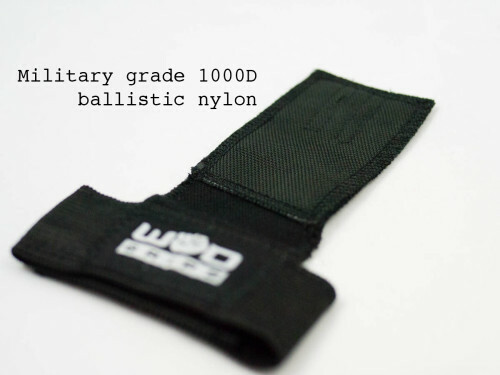 This material is used in flack jackets to stop bullets and shrapnel, so you’ll protect your hands during the toughest WOD. 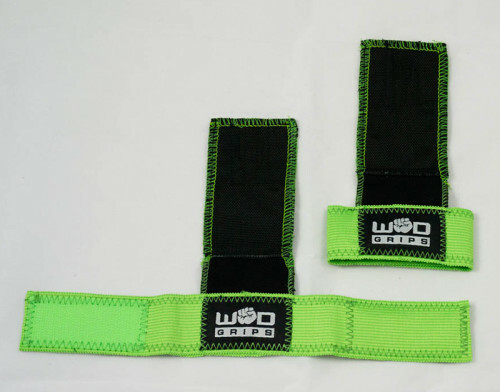 Gen 2 WOD Grips are not only perfect for bar work but are great for handstands and burpees, and provide protection where you make contact with the rings and weights so you can keep hitting personal records and lift more without the fear of tears. 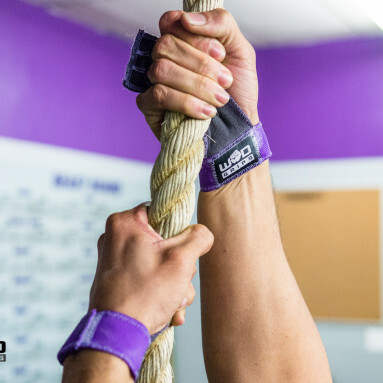 WOD Grips can be found in thousands of CrossFit Gyms around the world, as CrossFit athletes realize the importance of hand health and optimal grip for a effective WOD. This simple yet effective hand protection, shields hands from the damage often seen in hi-rep WODs, or when your hands are new to the thrashing of CrossFit. 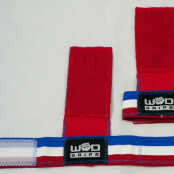 WOD Grips are perfect for not only Pull Ups, Chin Ups and Ring work. They are also great for Kettle Bell swings, push ups and bench press. 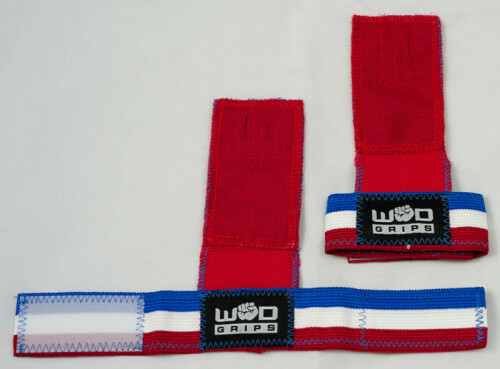 WOD Grips allow you to effectively protect your hands, while maintaining a natural grip, with a thin layer of extremely tough canvas cloth. The WOD Grips canvas palm won’t stretch, stain, or stink like leather gloves, and lasts longer than a typical pair of CrossFit Gloves. 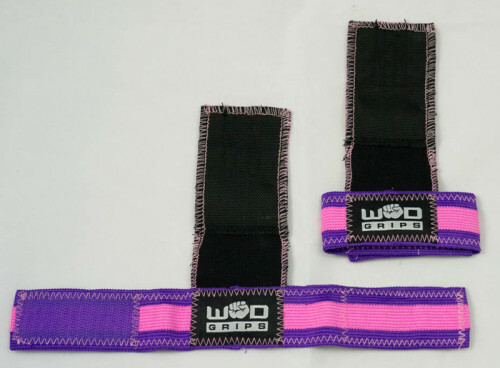 The revolutionary open design of WOD Grips allows hands to breathe throughout your WOD, and eliminates sweaty, slippery hands, improving your grip. You can customize your grip using WOD Grips, by adding chalk. To determine your WOD Grips size, measure from the base of your wrist to the bottom of your middle finger. 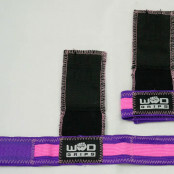 Be the first to review “WOD Grips – Gen 2 New & Improved” Click here to cancel reply.